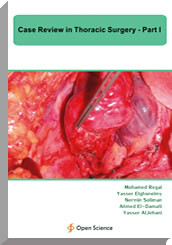 In this book the authors review the history, radiology and management of 75 cases with different chest problems which needed a thoracic surgical intervention. These cases included different pathologies such as congenital anomalies, trauma, inflammatory processes and malignancies. These cases are illustrated with chest X-Rays and CT films, as the management is largely based on interpretation of the radiologic findings. In addition operative illustrations were provided whenever possible to give more idea about the disease. Professor and Consultant of Cardiothoracic Surgery, Al Dammam University, KSA. Professor and Consultant of Radiology Mansoura University, Egypt. Specialist of Surgery, King Fahad Hospital of The University – Al Dammam University, KSA.